Making good on the promise to deliver two new songs each month before releasing Father of the Bride, Vampire Weekend have rolled out another pair of tracks from the forthcoming album. Both "Sunflower" and "Big Blue" can be heard in the players below, with the former featuring Internet guitarist Steve Lacy. Vampire Weekend have also revealed the album's artwork (seen above) and release date: it will arrive May 3 through Columbia Records/Spring Snow. "Sunflower" and "Big Blue" follow previously released album tracks "Harmony Hall" and "2021." The band also mapped out a North American tour earlier this year, and you can find the dates for that here. 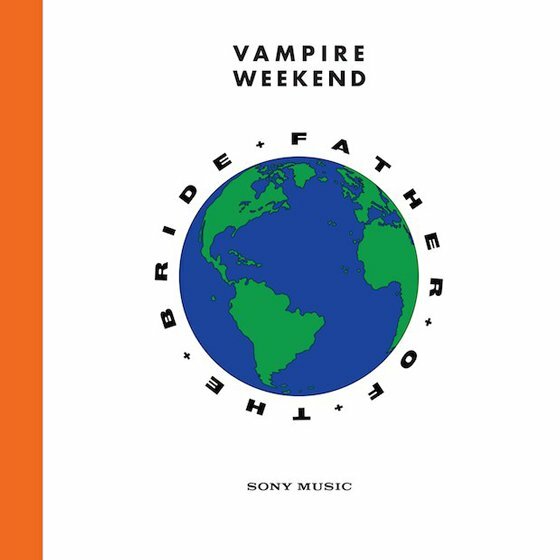 Father of the Bride is set to follow Vampire Weekend's Modern Vampires of the City, which arrived back in 2013.